The stoa of Eumenes. It is dated to the Hellenistic period and is attributed to Eumenes II, the king of Pergamos (197-159 B.C.). 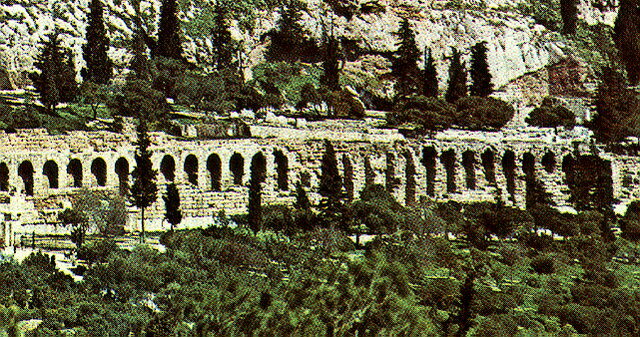 The stoa was constructed along the "peripatos", the road which runs above it and runs around the bot of the hill. It was built of conglomerate, poros stone, Hymettian marble and Pergamene marble, imported in cut blocks.